Hormel Foods Corp. employee Vanessa Wieseler did not need any prompting to talk about her reading buddy, kindergartener Emilio Rangel Vela. “This is the best day ever,” he said, nodding for effect. Each week, Hormel buddies would hop onto a bus that took them to Woodson, to meet and read with their younger reading partners. On Wednesday, the children came to Hormel for their last day of the program. The buddies came together to read “Franny’s Dream House,” or “Max and the Missing Pony.” Then, there were snacks to enjoy. “Our motto for Hormel is ‘Inspired People, Inspired Food,’” said Katie Larson, who has been with the Read to Inspire program for all of its four years. 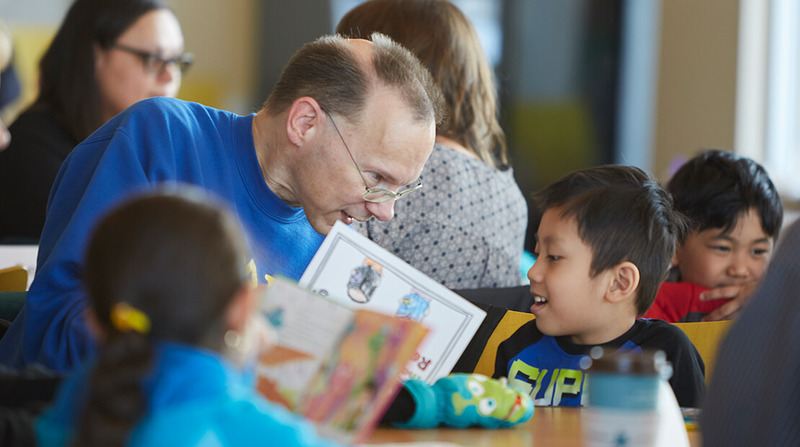 Hormel employees work hard at their jobs, she added, but they also give to their community – and Reading to Inspire is one of the most popular ways. “It really brightens our days – it energizes us,” she said.